SAZ and Jay found a sign of fall. We found a sign of fall again at Atami beach. 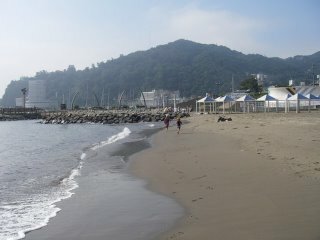 We went to Atami beach this Sturday. And this time, Atami beach was not crowded. Funny enough, we thought croude beach was better than today. I realized it is September today. Japanese summer is finished. I have to bring clothes of fall out.